As the 2014 summer anime season wraps up, I thought it'd be good to talk about what I watched, liked and disliked- if only to get into the habit of writing more often. So here's my thoughts on the season's shows, as told from the perspective of this nearly-30-year-old, female otaku. You know, a useful perspective. >.>" j/k. Historical fiction, the sengoku period - heavily steeped in samurai goodness. 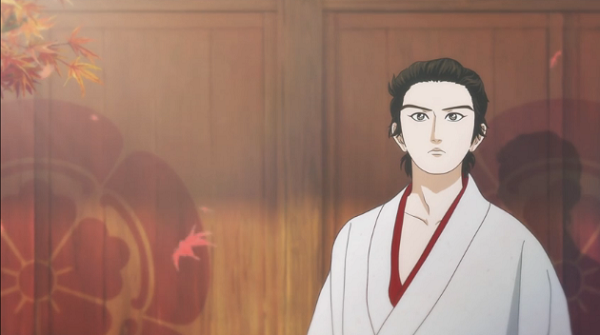 My favorite, along with my favorite daiymo - Nobunaga! (Fun fact - his crest is one of the mon on my blog background.) The premise - high school boy gets sucked into the past and has to live his life as Oda Nobunaga, the first of the three great unifiers of Japan. The history is pretty good, and shows how Nobunaga gets his start from the "fool of Owari" to becoming one of history's greatest. Though the show gets a little feels-heavy at times, it's got good humor, and it's fun to see all his retainers and enemies come to life in the anime (for example, Tokugawa is portrayed as a portly and cute womanizer). The one thing that might be a drawback for some (and at least took me a little time to get used to) is that the animation style is not typical. It's almost like flash, or a cel-shaded videogame instead of the usual hand-drawn anime style. But overall I definitely think it's worth watching, especially if you're interested in history at all. I also hear there will be a live-action version coming eventually, so if the art-style throws you off, you could watch the drama instead I suppose! It's also a manga, but not much of it has been translated from what I could find. Slice of life anime, about a 20 something calligrapher that goes to a remote island to hone his own unique style of calligraphy. Yes, I know that sounds so incredibly boring. I really didn't want to watch it either. 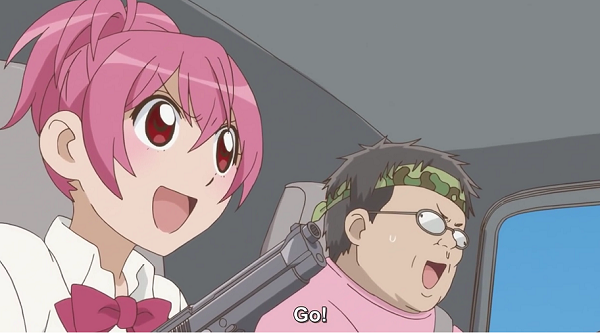 But we gave it the 1-episode try that we've been giving all new anime, and from the pilot I was hooked! 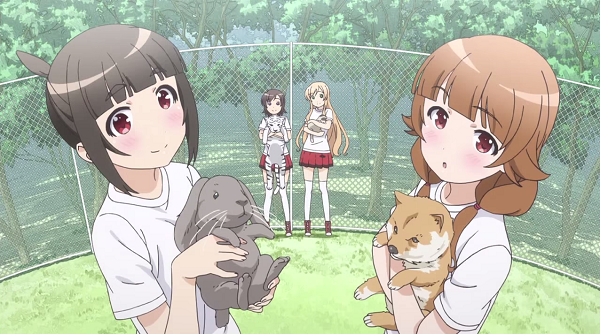 It's an incredibly cute, touching, and funny show - and not because of calligraphy. It's gold because of the interaction the man has with the locals, especially a little girl named Naru, who hangs out with him the most. Her antics are super cute, from catching bugs, breaking into his house, and jumping from rocks at the sea shore. Maybe I'm just at that age where I now think kids are cute and not just annoying snot-buckets, but this show is simply precious. And hilarious. There are some great "city slicker" type moments. So if you can get past the boring-sounding description and lack of fast-paced action or plot, then give this anime a try! It's definitely a nice change of pace, and might actually be good for those not that into anime, since the art style isn't crazy and it's fairly "normal" since it's in the slice of life genre. Comedy. So this one might have been able to go into the category below, but since I personally watched it as soon as it came out, I'm including this silly anime with the two more mature shows above. The premise, a high school boy (who is a shoujo mangaka) and his assistants at school experience and mock various stereotypical shoujo character types and plot devices. It's hilarious, especially if you read a lot of shoujo manga. 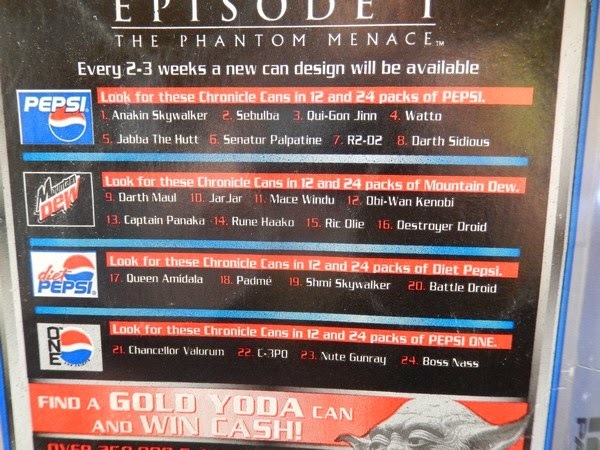 But I'll admit that it's also infuriating, because there is zero character or relationship development. Zero. 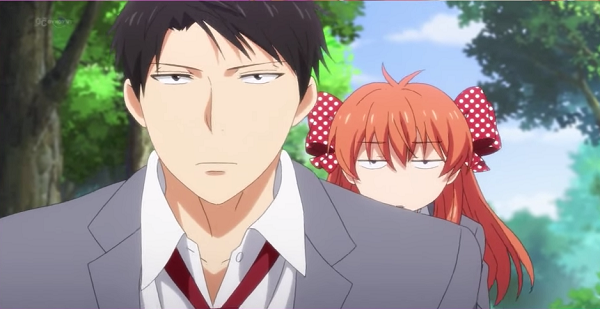 I think that in itself is mocking the shoujo genre, so I'll accept it - but darn, I just want Chiyo x Nozaki to happen already! Comedy. At first glance, this anime about five high school girls in a club sounds a little too much like the run-of-the-mill K-on knock offs. But it's so much better than that. First, it's slapstick comedy, not sugary sweet moe comedy. The main character is what keeps me watching - she's got flaws but she's absolutely oblivious to them. She's got a huge ego, she shows no mercy ever, and she's super greedy. The girls are in a survival game club, and she frequently sacrifices her club mates to get ahead in the game. An interesting change of pace from the typical cutesy heroine whose only wrongs are usually misunderstandings. Though one thing I did not like at all about this show is there was one episode where the heroine put on weight, and solved it by throwing up. 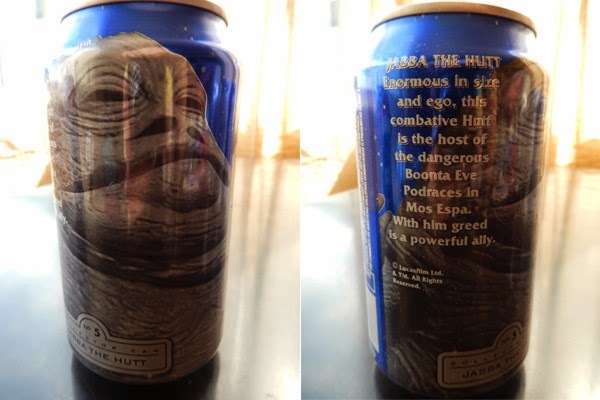 I think there was a disclaimer not to do that on the bottom, but I think that was too sensitive a subject to be used for a light-hearted comedy. Earth vs. Mars Mecha war. Yeah, not my typically anime fare. But I was drawn to the art style, and was very sympathetic towards one of the characters that always seemed to be having a hard time - Slaine. Plus it was written by Gen Urobuchi, who is known for his plot twists (Madoka Magicka). I disliked the main character. 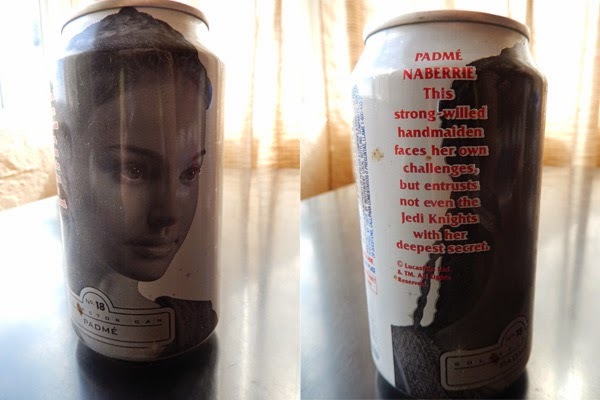 I disliked the princess. 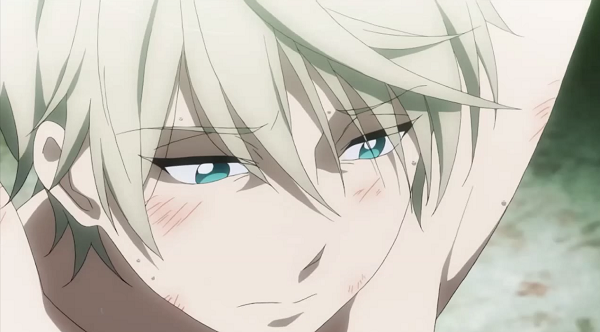 Well, I pretty much disliked or was neutral about everyone in the show aside from Slaine. So the fact that I kept watching meant that the story was pretty good. There wasn't a cliff hanger every episode, but enough to keep you going. And the ending - pure gold in terms of sitting-on-edge-of-seat factor. Sak and I had at least five different scenarios of what we thought could happen in episode 12, but none of them were even remotely correct. I think there's probably better mecha anime out there, and this is the first I've watched in a while, but I liked it. There will be a next season in winter, too. 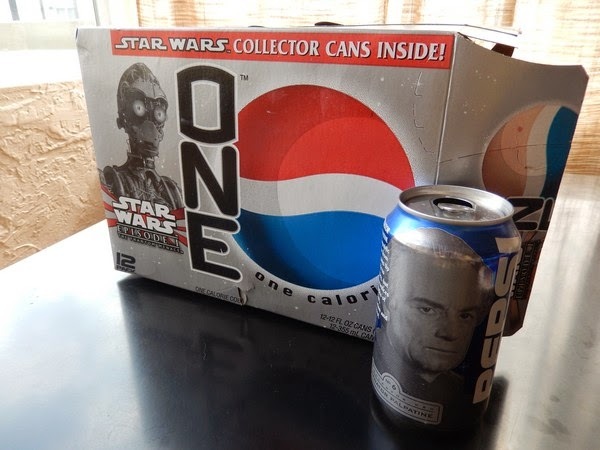 Hrm. By far the fan favorite going into the summer, the long awaited continuation of the popular first series. This time Kirito joins a shooting game, gun gale online. I liked the first arc of SAO. I really did. 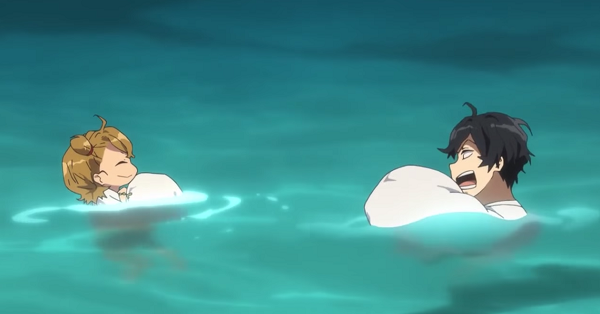 I thought the relationship progression they showed with Asuna was really nice. And she was strong and could fight right alongside of him, awesome! But then the second arc, with the sister - ugh. And now the third arc, with another girl - double ugh. It's basically just a harem anime at this point. The story moved super slow, the action was sparse, and even the conflict wasn't really that interesting compared to the first arc. I don't know how many times I yelled at the screen, this show was so irritating to me. :P But I watched it, for who knows why. 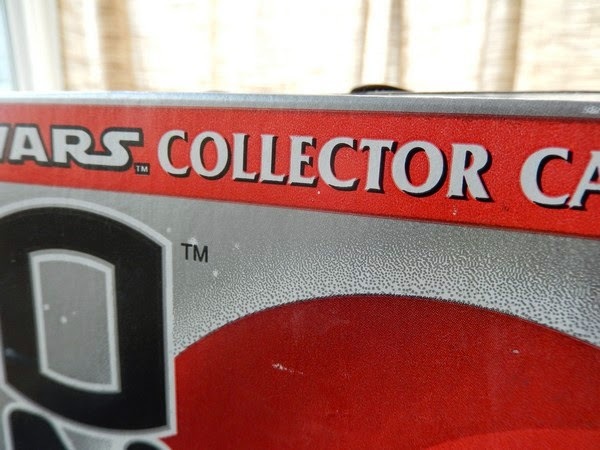 Maybe for some hope that it'd get better and return to something more like the first arc? It didn't, sadly. 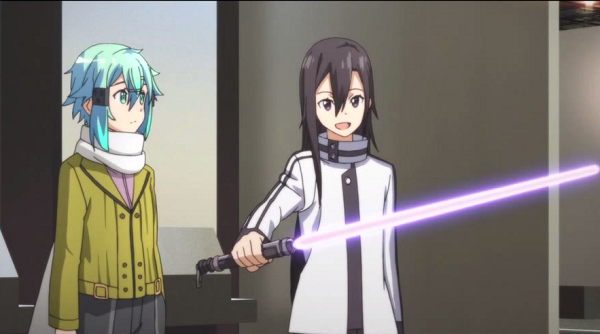 Though the one good thing I can take away from this is Asuna is rocking the blue hair. This show. I can't. Ugh. It was so bad. But Sak liked it so we watched. It's pretty much a train-anime otaku's gold mine - train facts mixed with cute girlies. But none of it made sense to me! WHY were all their bums shiny! What were their uniforms made out of?! 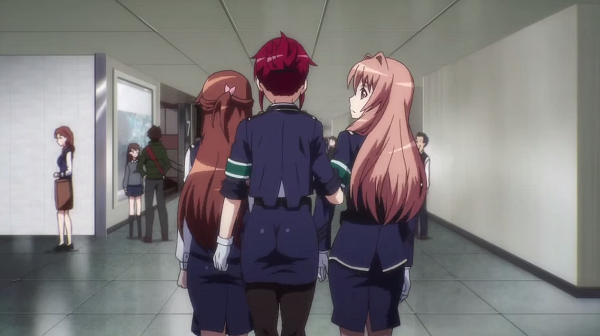 The show is basically a ton of fan service and a little train and station factoids. I watched with a lot of eye rolls. Moe slice of life. A girl becomes a local idol for her hometown to bring in tourism. More cute girls join. It's cute, but that's about it. I like moe in small doses, but at some point in the season we decided we could better use our time to watch other things. This show was aggravating. On the surface the premise sounds interesting - group of friends in a small town, one of whom has future premonitions that become more frequent when a new guy moves in with the same powers. But they hardly ever use their powers! 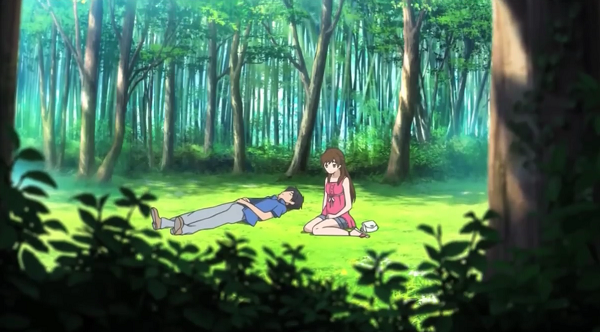 It was like an afterthought that came second to the first aim of the anime - awkward teen relationships! Love confessions, rejections and triangles. I don't know if the show got better or developed a plot in the latter half of the anime, since I got tired of waiting for them to get there. Anyway, that's my summer anime review in a nutshell. Did you watch any anime this summer? What'd you think? The first time in Japan, I was delighted, but woefully unprepared for all the different commemorative stamp opportunities. 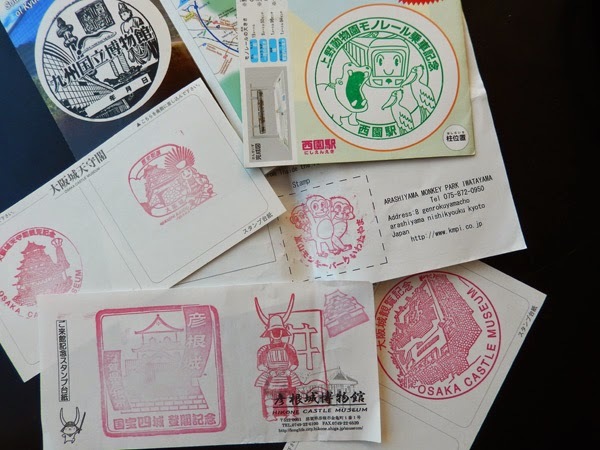 Every castle, park and museum seemed to have one (or more), so we just stamped on our pamphlets and such. 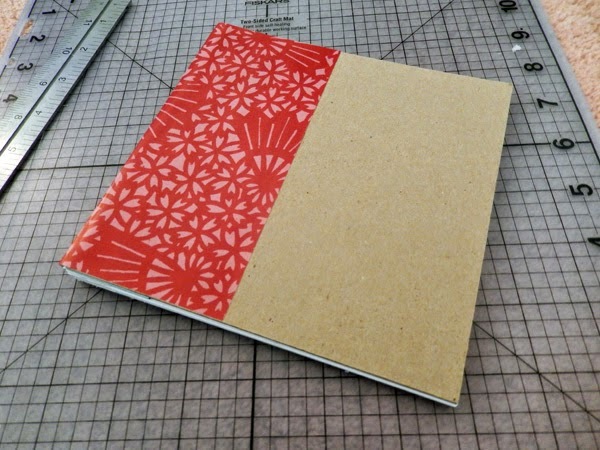 This time, I will have a proper stamp book! Cute, neh? Here's how it's made. 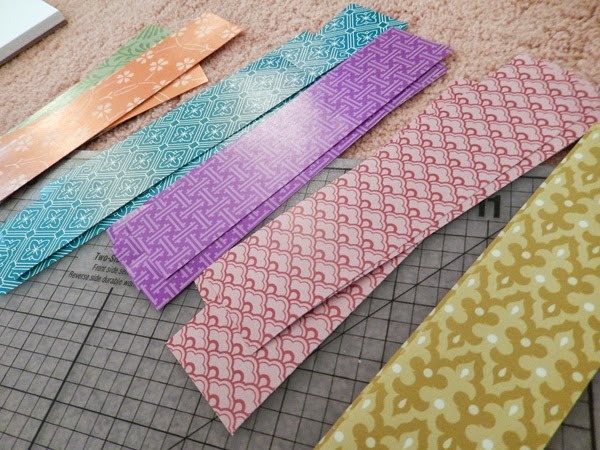 First I cut some of the origami paper into 1.5" strips. Colorful! 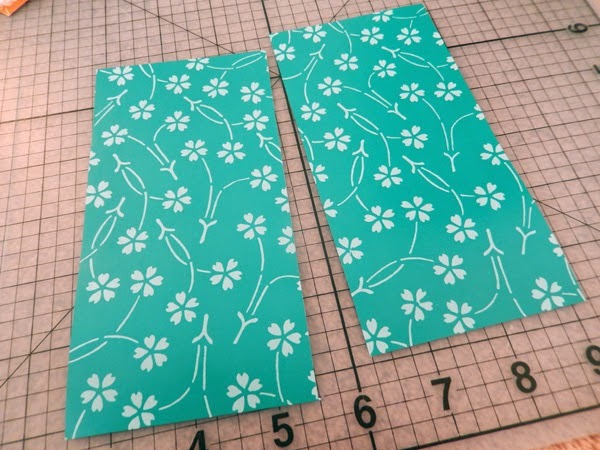 Fold them in half, with the design facing inward. 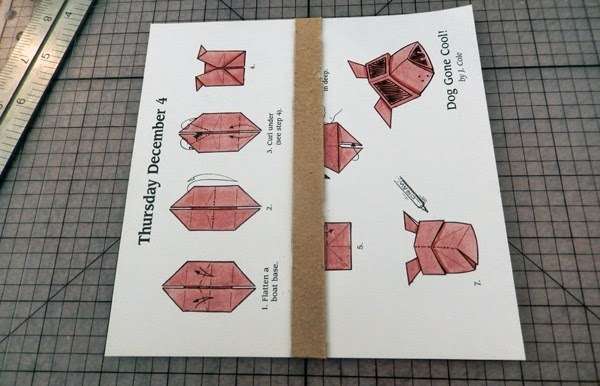 Glue one side of the origami paper to a sheet of white paper. And then do the same on the other side. 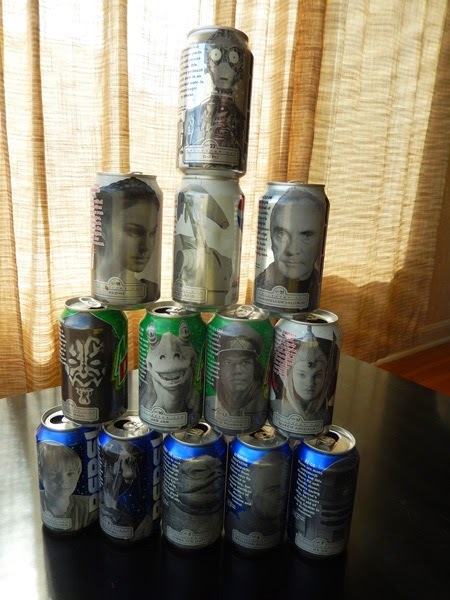 Make sure the papers can lay flat when you open them. 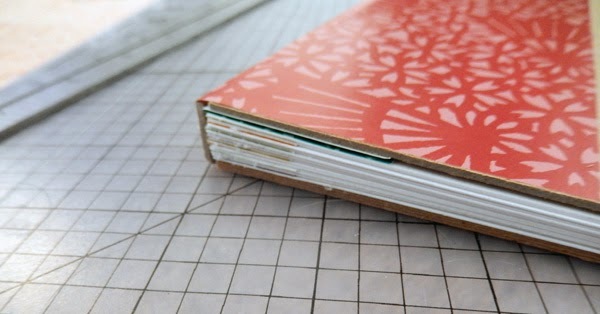 Continue gluing strips to the sides of the white paper until you reach your desired thickness. 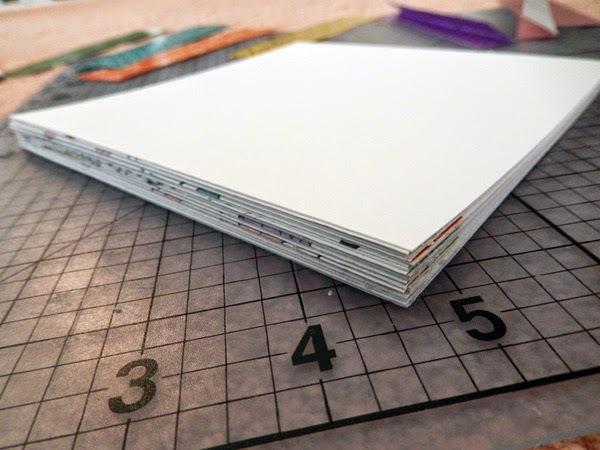 For me, it was 12 sheets, for a total of 24 stampable pages. 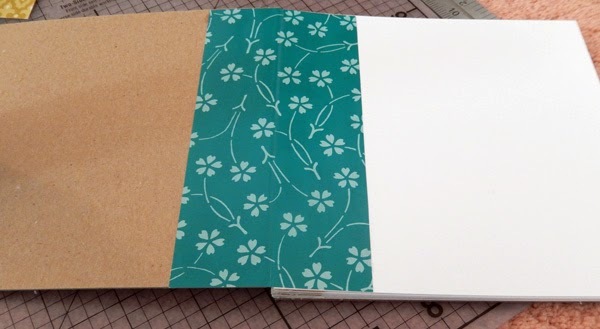 Next, cut out two 6" x 6" squares of paper board for the cover. 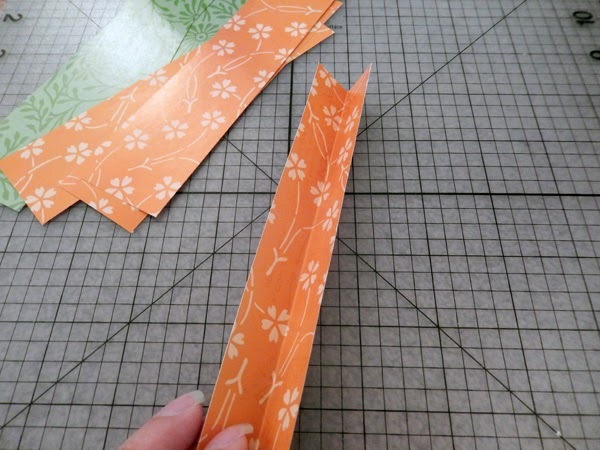 Cut one sheet of origami paper in half (two 3" strips). 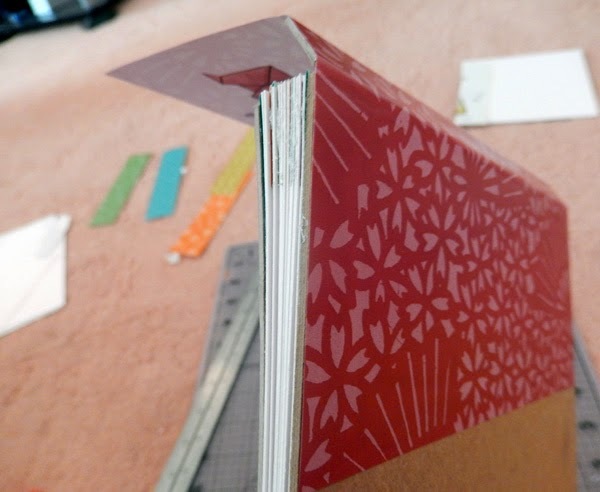 And glue the covers on the same way the pages were glued together, by folding in half and gluing to each side. 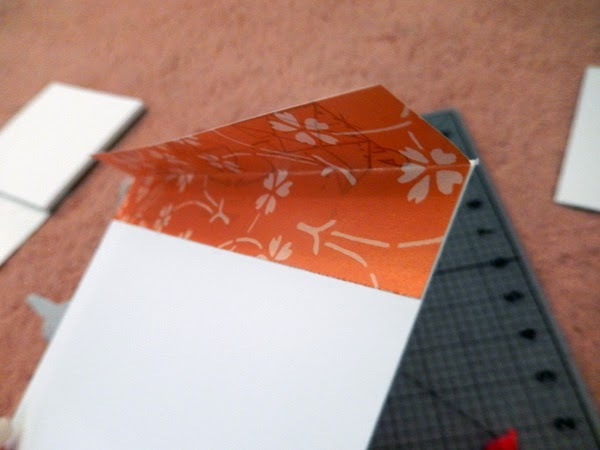 Make sure to leave a little bit of overhang on the paper fold so that the cover has room to open completely flat. 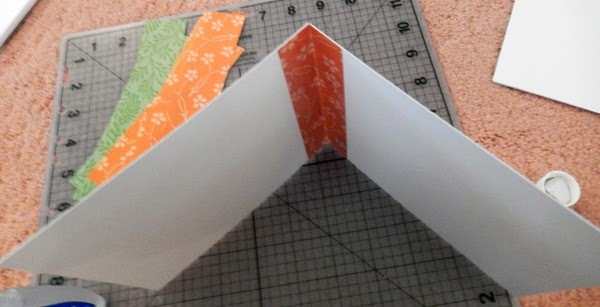 See the slight overhang on the origami paper fold under the cover? 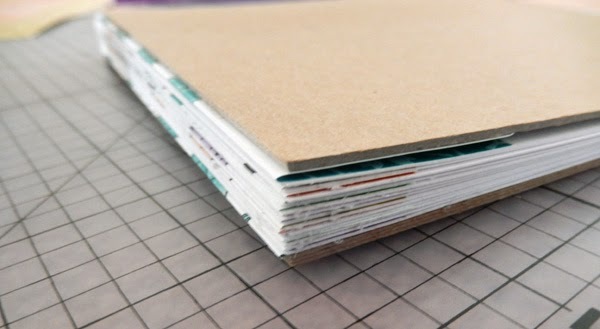 For the spine, cut out a small strip of card board to match the size of the book spine. Mine was about 0.5" wide. 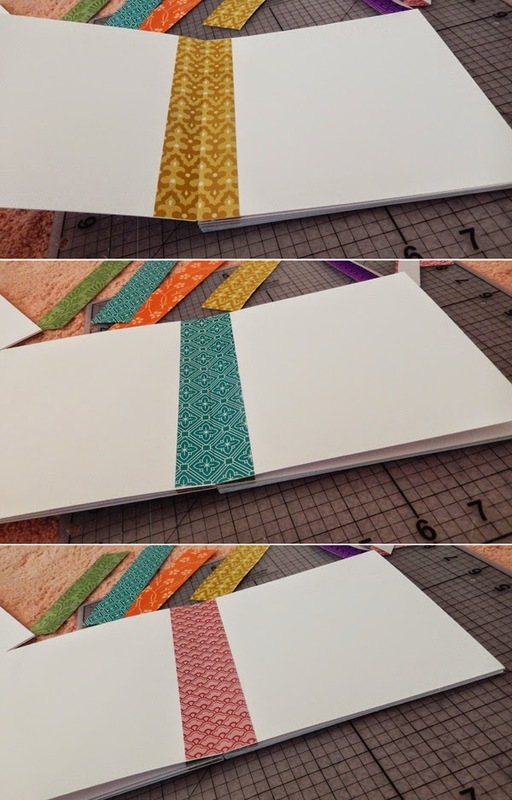 Glue the spine strip to the middle of a whole sheet of origami paper. 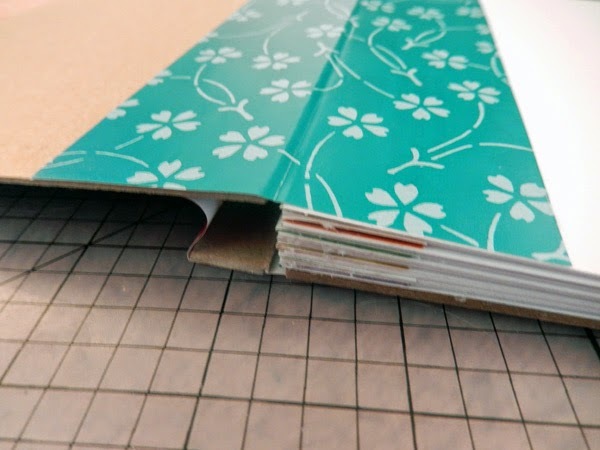 Glue one side down to the back cover of the book, and wrap it around the side to glue the front on. 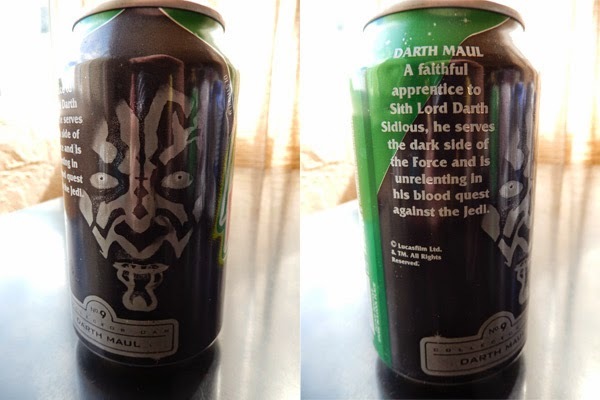 It opens nicely too, completely flat. 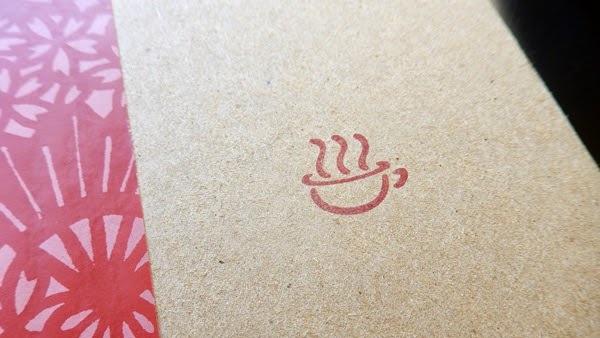 I added a little K-ON tea stamp to the cover. 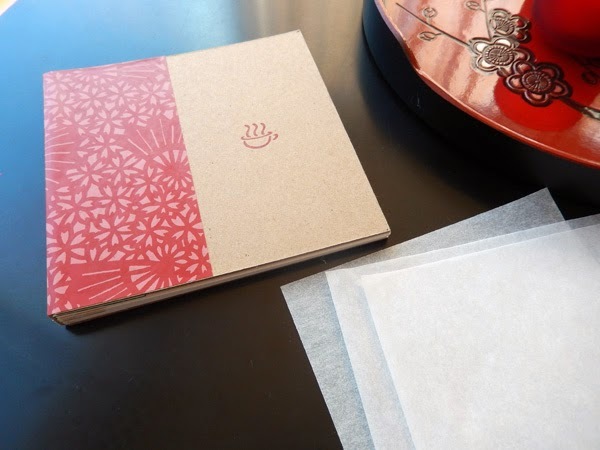 And I cut out a few sheets of tracing paper to use as a blotting to protect the book pages from freshly stamped ink.